I was pleasantly surprised with my first purchase from GT Spirit. The Porsche 911 (964) Carrera 3.8 RS was for the most part a spot on example in terms of overall execution. Yes the interior could have used a little more TLC, but I’m sure as GT Spirit matures, these types of shortcomings will be addressed. 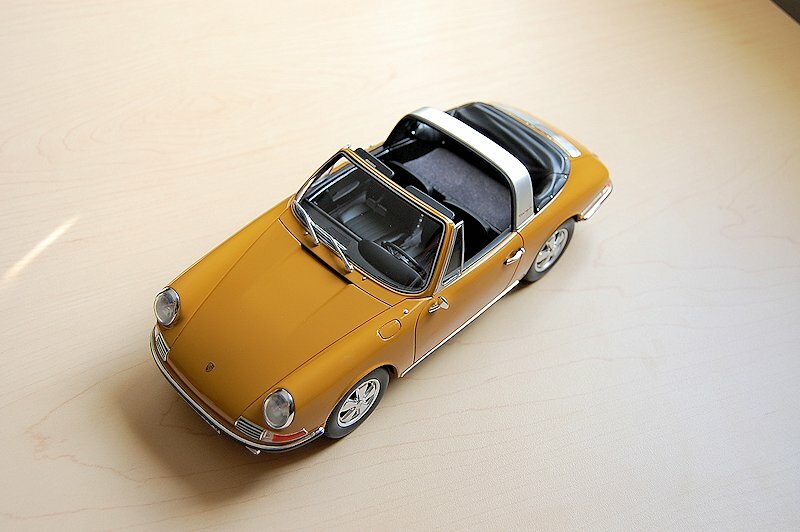 Shortly after the review I ordered the club version of the Porsche 911 S Type 901 Targa, another limited edition model of only 500 pieces. 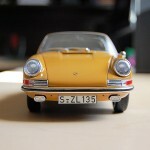 Once again, the model arrived with a damaged exterior box. 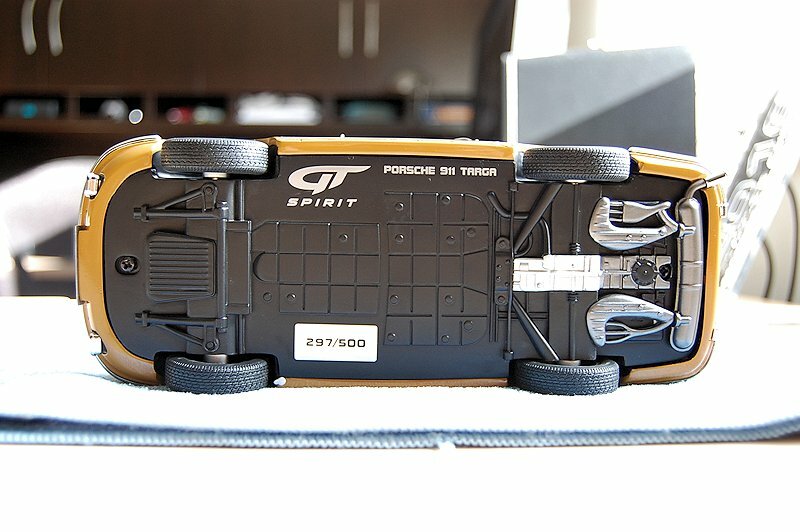 Both have been addressed with GT Spirit, I’m hoping to have replacements arrive shortly. 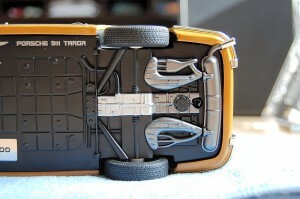 Beyond the damaged box, the right side rear bumper was damaged. Nothing serious, a few dabs of glue and the model was once again back to 100%. 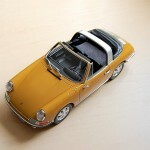 I went with the Club Edition because of the retro mustard yellow exterior. 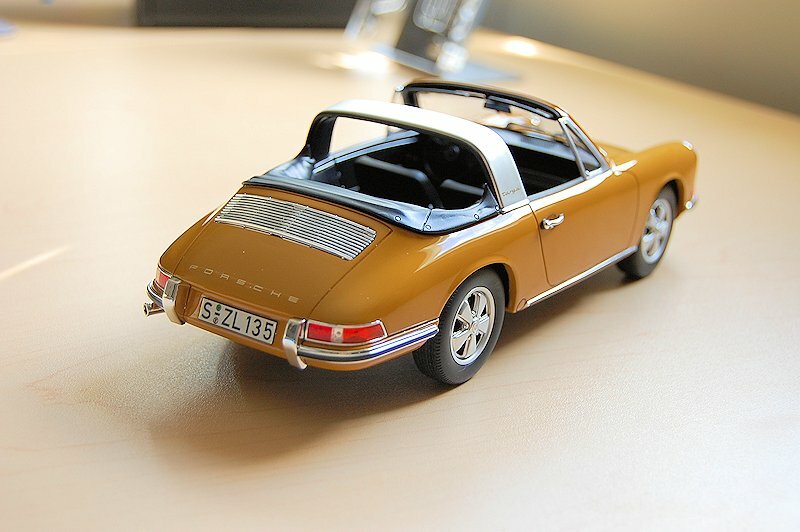 Not sure how Porsche defines the colour but I like it! Overall lines do capture the original car very well. Based on photos I examined, GT Spirit’s CAD capturing techniques are working well. 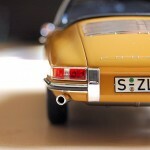 As with resin models in general, shutlines and panel gaps aren’t an issue, so both elements are excellent. 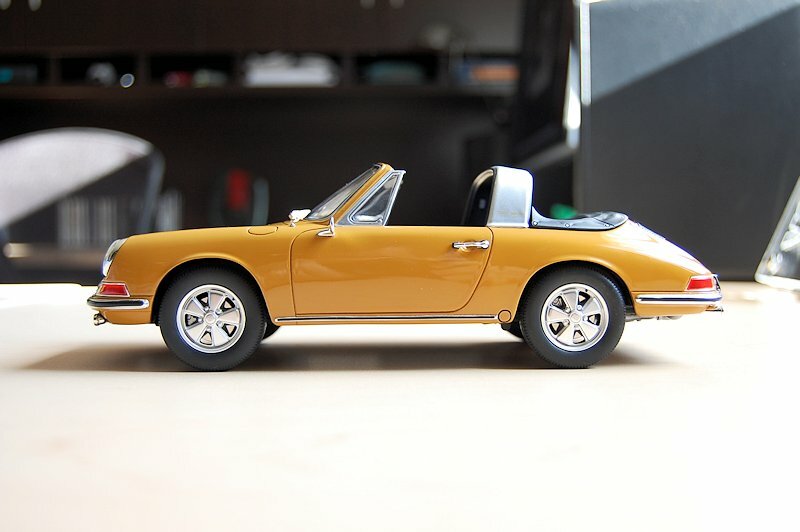 Paint is rich and flawless throughout, same standards as the Porsche 911 (964) Carrera 3.8 RS. 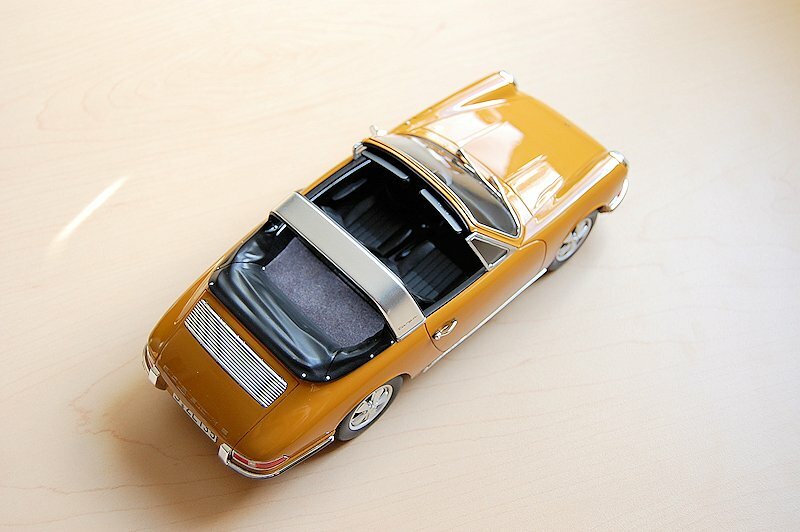 Though I would say the chrome, which there is plenty of, did not meet the same standards as the mustard exterior. 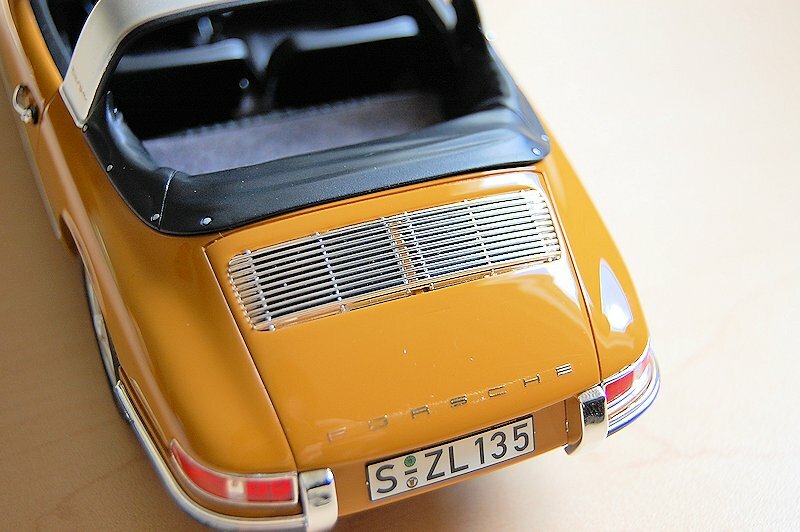 I do like the extra effort in detail on the rear hatch perforated grille, and Porsche decals and lettering found throughout the model. 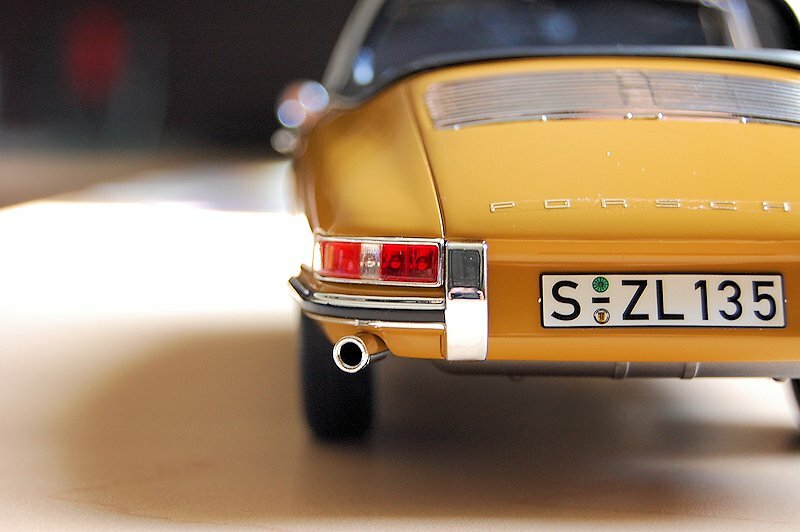 Well a DS member pointed out as you can read in the comments section below pointed out that the 911 decal rear centre, just underneath the cooling grille is not present. Crap! Rims and tires are nicely executed. 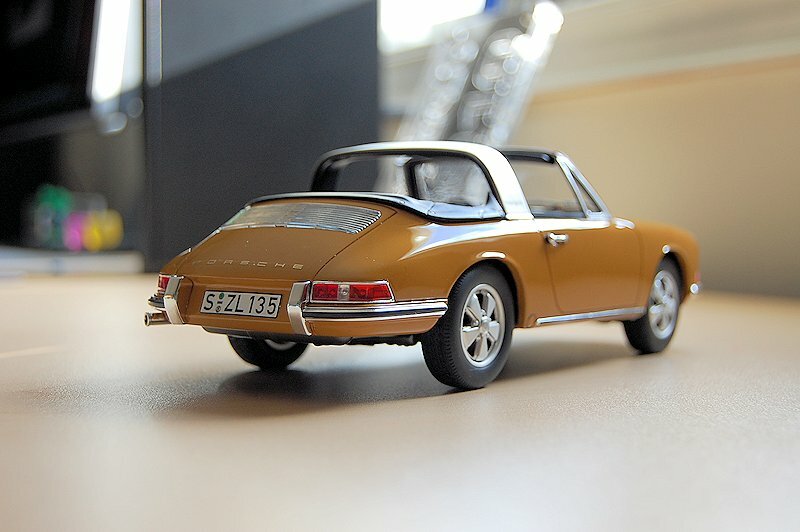 Based on initial photos of the model, I thought they may have been out of scale but this is not the case. I do wish the inner portion of the rim had the accented black paint. 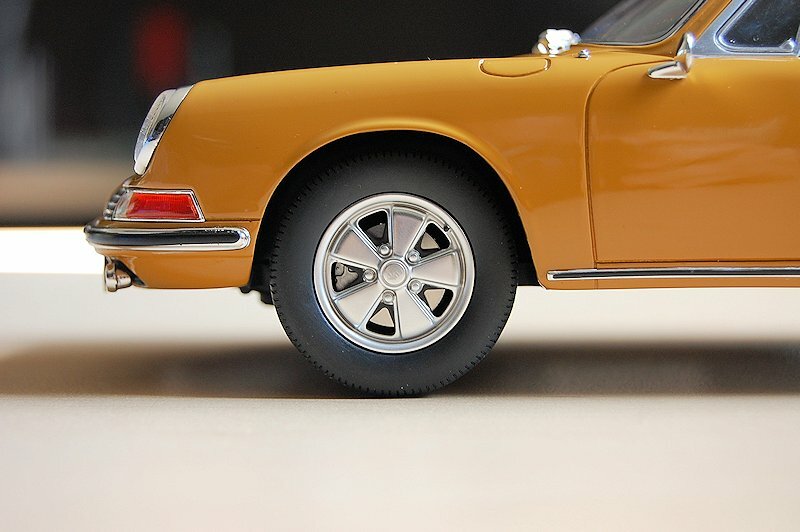 This would have aided in an overall polished look and feel of the wheels. 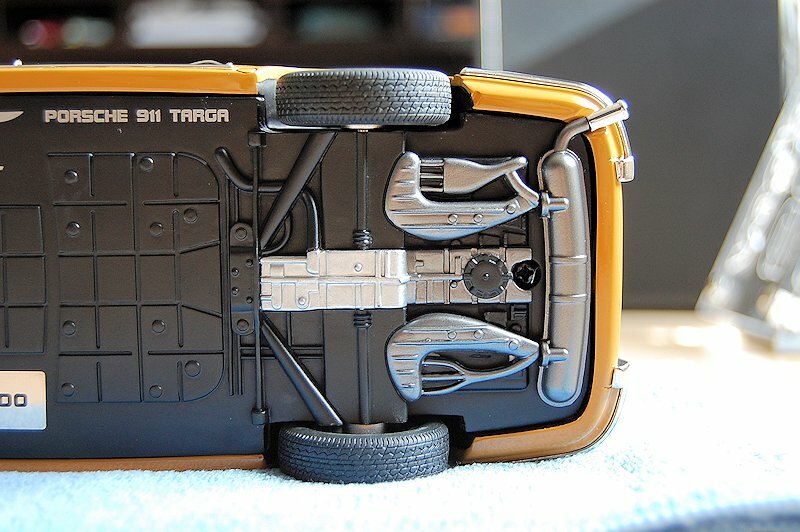 I can’t show you any of the enclosed areas – storage or motor as you know the model is sealed. Underneath you do see some detail, suspension bits with some transmission/motor and exhaust working. 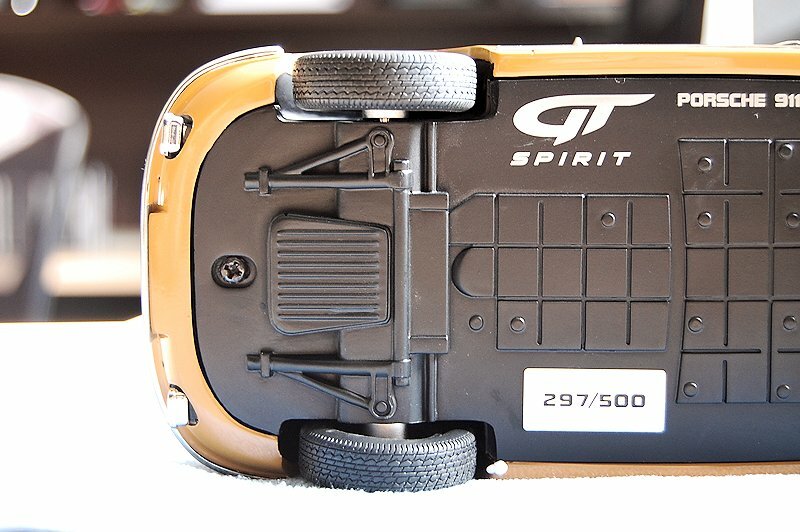 Again thumbs up to GT Spirit for the nice limited edition badge noting the model# 297 of 500. 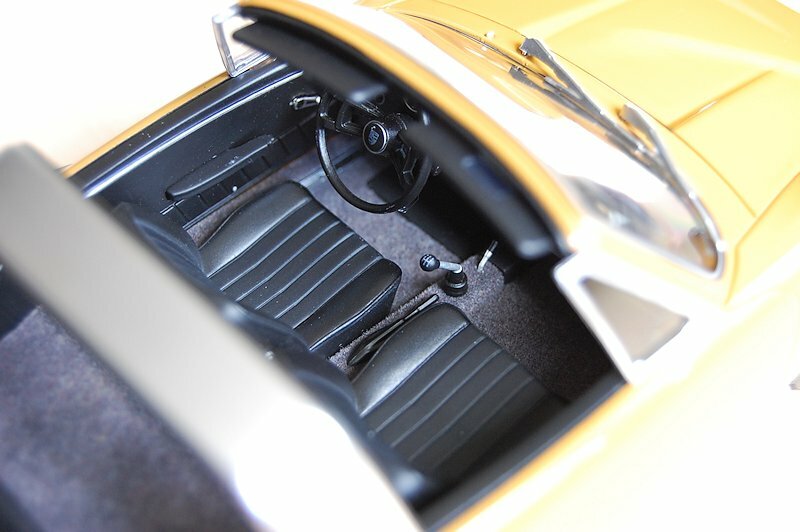 Interior is nicely finished. 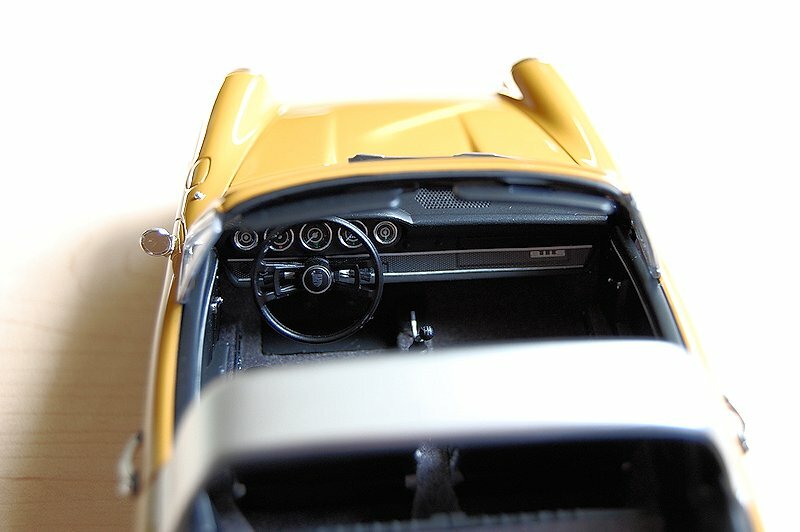 Dash gauges, steering wheel, and decals (love the logos on the steering wheel centre and shift knob gear run pattern) are beautifully done and add to the realism one expects from a 1:18 scale model – nice work GT Spirit! The detail doesn’t stop here. 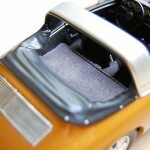 The model features carpeting throughout. 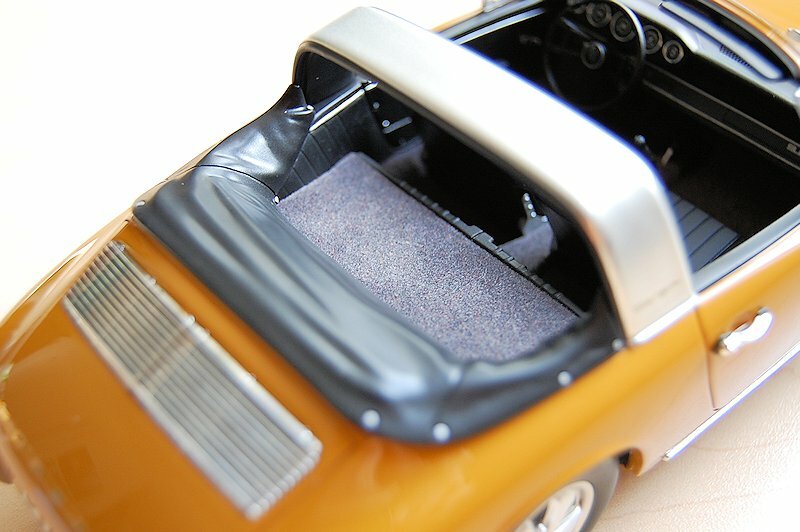 The soft top is displayed in the open position, the final look display the folds and the snap buttons. 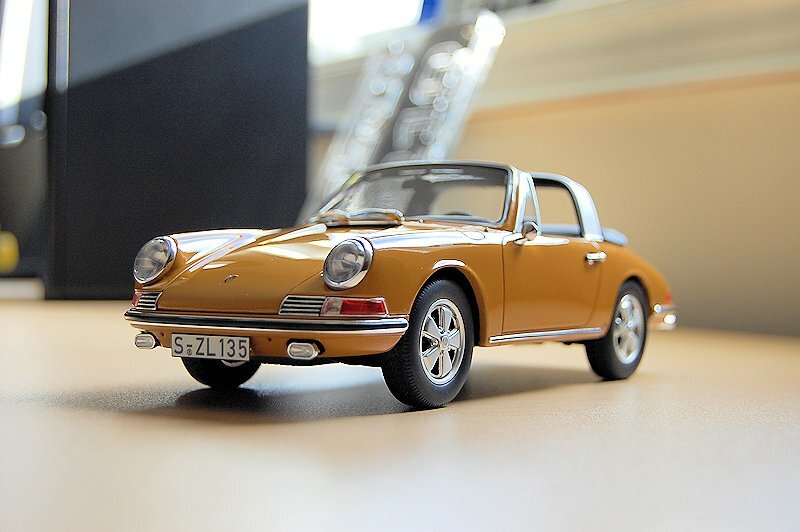 GT Spirit is definitely making a mark on the scale model landscape. 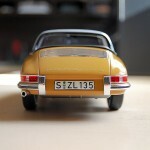 Their attention to detail and level of execution will surely be appreciated by all collectors. 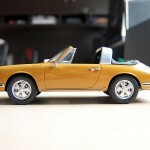 Though cost of the model with shipping slightly exceeds the $150CND mark, thus making the model unattainable to some Porsche fans. 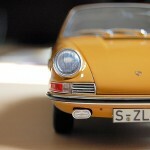 Factor in the resin vs. diecast debate and some may question the price. 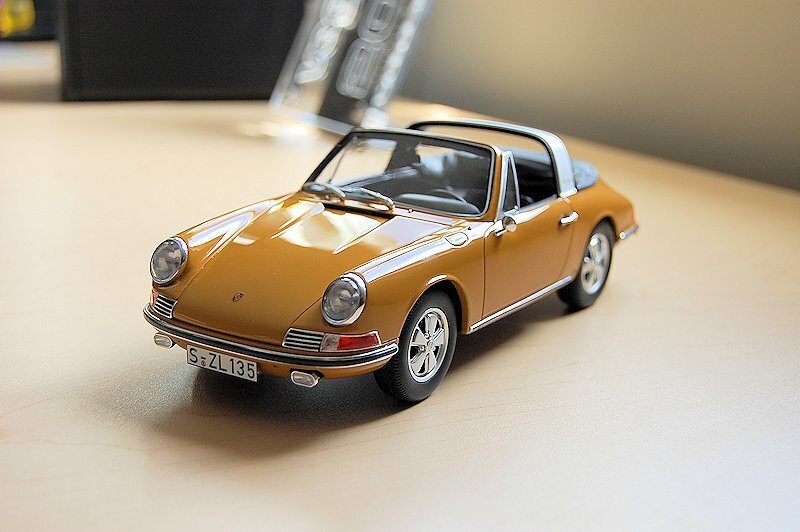 I’m a fan of Porsche, so for me adding a model from the early days of Porsche and in Targa skin with the retro mustard paint was one I did not want to pass up. Enjoy the pics! 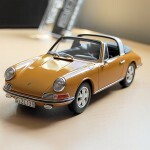 4 Responses to "REVIEW: GT Spirit Porsche 911 S Type 901 Targa"
It’s a great model and if GTSpirit starts to release another cars instead of only Porsche, their popularity will raise a lot between non-fans of resin models. Crap! I didn’t notice it!! Review has been updated, thanks. Well off to email GTS, I need my decal! 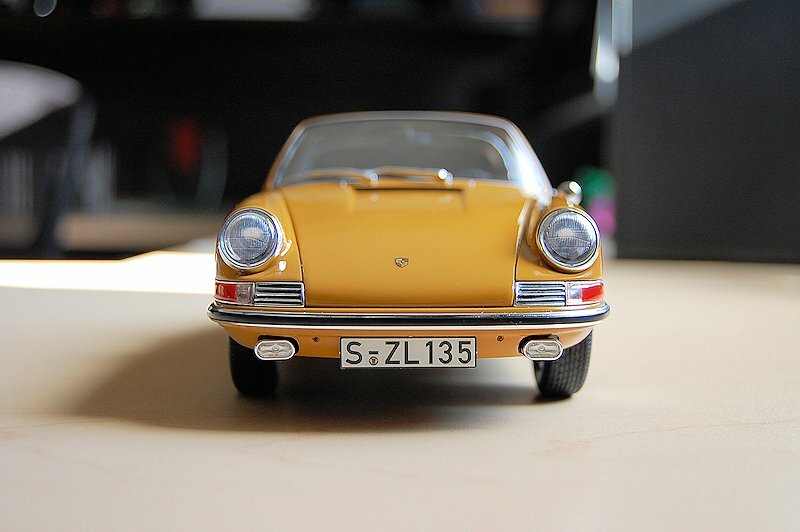 I have just ordered the same Porsche from Modelissimo.de. I hope mine will arrive safe and sound. 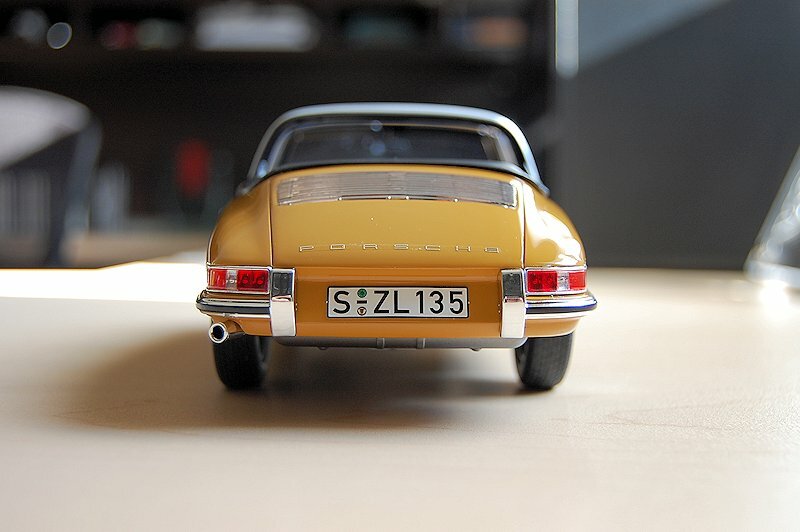 I regret yours is missing the 911s badge. 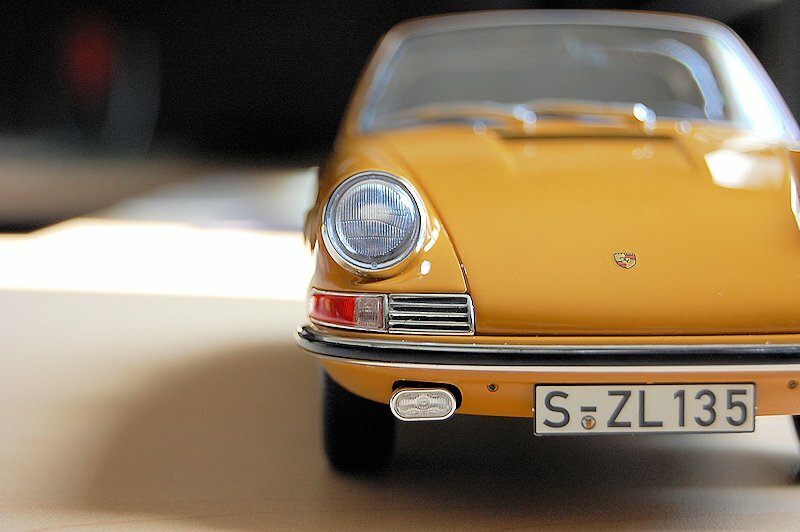 Your photos let us take a look of the model with deeper detail, and yes, it is a great car but not necessarily a great replica. 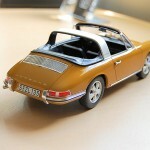 Let’s wait and see if AutoArt produces a better one in the near future with a glass rear window . I almost forget….is it fair for us to pay 20 euros more, just for the right color? I hope GT Spirit gets the message. Regards!